Just the basics, this GCM Skeleton Starter Kit allows you to get the frame started for your custom project. We combined the frame rails and the servo mount, motor plate, center skid plate, and shock tower parts for a perfect start to a #tinytruck project. This unit does not include the Transfer Case that's found in the Basic Combo. You can add your T-Case and drivetrain of choice. 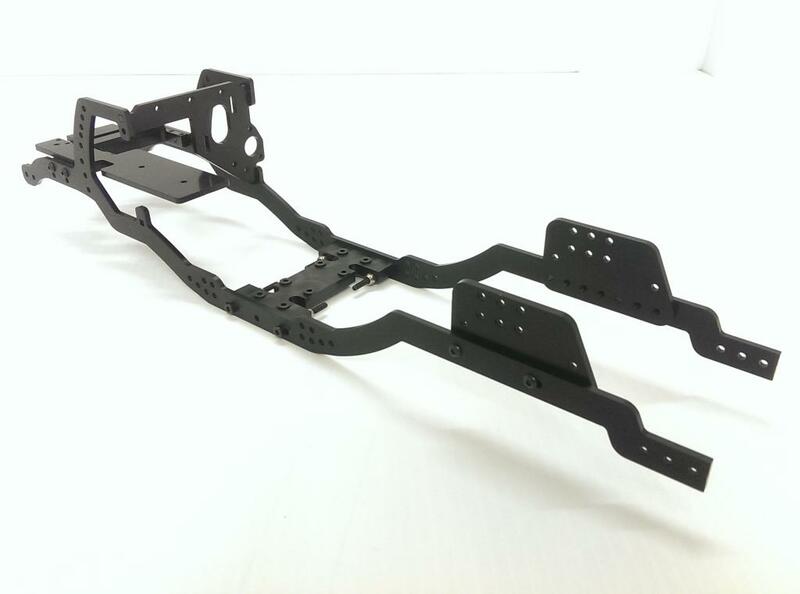 We recommend a wheelbase setup for this frame between 10.5 and 12.5 inch long. 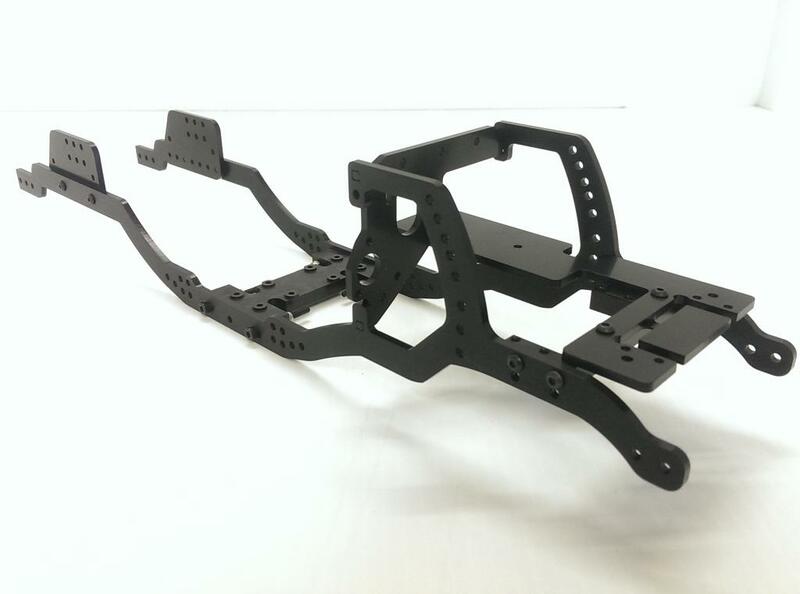 Jeep JK 2door Body and bumper and battery mount options available at our GCM Racing ShapeWays store Here at this link !